System T control interfaces allow extremely flexible and adaptable configurations. 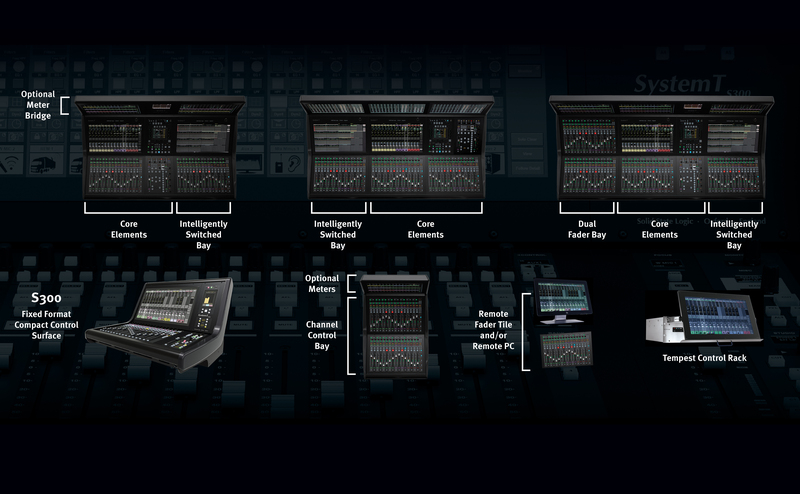 Multiple compact S300 console and modular S500 large format consoles can be combined within a single system. 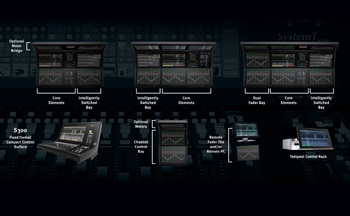 Additional control interfaces including console bays, control surface elements, Tempest Control Racks and PCs running ‘T-SOLSA’ remote control software are added remotely across the network to suit production requirements. Up to three control interfaces can use a single processor core. Multiple processor cores can be used on a single network.